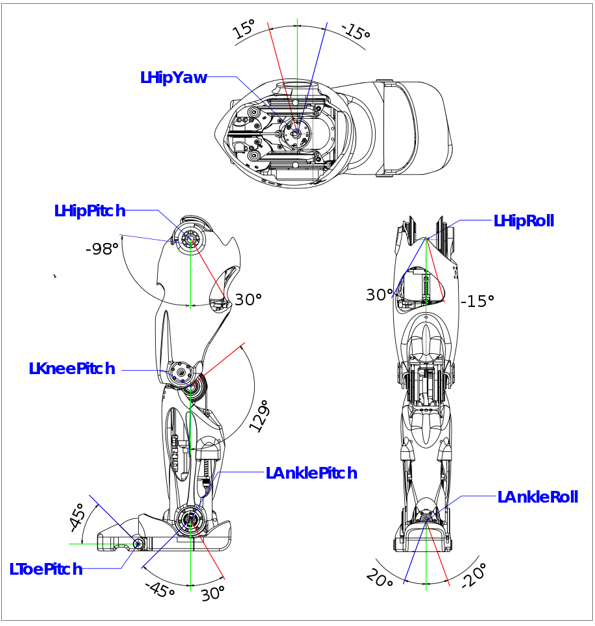 Given a joint that links two body parts of the robot, the body part that is closer to the trunk is considered to be fixed and the body part that is farther from the trunk is the one that rotates around the joint axis. This criterion is valid for joint angles, rotational velocities and torques. 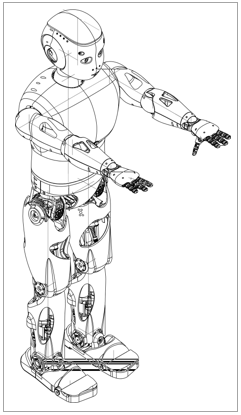 To perform the rotation of the body parts, we place a frame at each joint. 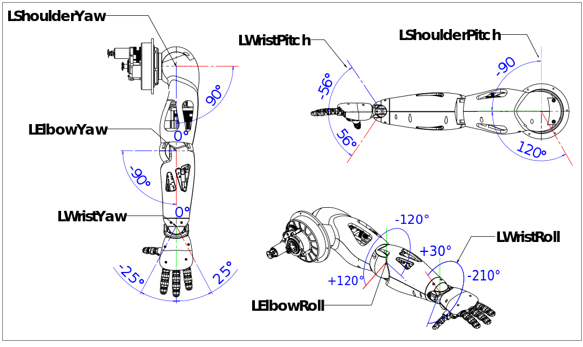 When the robot is at the zero pose, all joint frames have the same orientation. 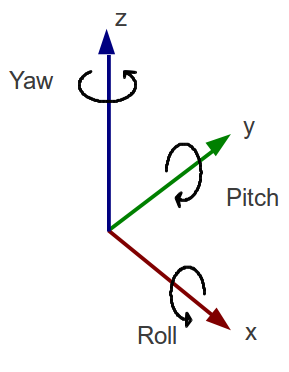 Then, roll rotations take place around the X axis, pitch rotations around the Y axis and yaw rotations around the Z axis.